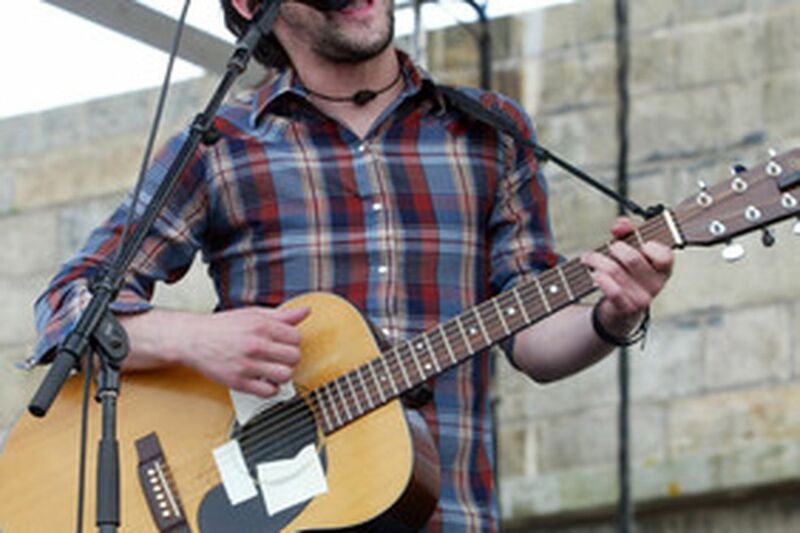 Conor Oberst, who performs with a band as Bright Eyes, has a real way with a lyric. "Cassadaga" is his first album since 2005. Conor Oberst has been making records since he was 14, so at the ripe old age of 27, he's entitled to his mid-career crisis. On Cassadaga (***), the new album by the Omaha, Neb., singer-songwriter who performs, with a rotating cast of musicians, as Bright Eyes, the indie oracle worries that after all these years in the business, he's become a mere professional, nothing more than a hack. "I had a lengthy discussion about the power of myth with a postmodern author who didn't exist," Oberst sings on "Soul Singer in a Session Band," an Irish waltz about the confessional entertainer's task of manufacturing emotion on demand. "I was a hopeless romantic, now I'm just turning tricks." The tricks that Oberst turns on Cassadaga, which is named after a Florida community of psychics, are anything but cheap and easy, however. Bright Eyes' first effort since the 2005 double shot of the country-folk I'm Wide Awake, It's Morning and the electronic-flavored Digital Ash in a Digital Urn, is an ambitious, (sometimes self-consciously) grown-up effort that aims to leave precociousness behind and move on to more mature matters. Where there was a worrying preponderance of drinking songs on the last two Bright Eyes albums, this time he's in rehab, accompanied by a trio of woodwinds and gentle percussion on the sobering "Cleanse Song." If Wide Awake's "First Day of My Life" glowed with the blush of true love, on Cassadaga he's sounding distressingly adult, as he observes that "life's too short, death doesn't ask" while imploring a paramour to schedule him for romance on the tender, beautifully orchestrated "Make a Plan to Love Me." Oberst hasn't tossed aside all of his youthful indulgences. The choked-voiced vocalist (who sings with more clarity than ever) still feels compelled to start with an intentionally difficult opening track. "Clairaudients (Kill or Be Killed)" begins with the sampled voice of a clairvoyant nattering on about getting rid of "the old ways of thinking." The song begs to be skipped - particularly since it gives way to the hooky, terrific first single "Four Winds," in which Oberst, seeking spiritual enlightenment, decides he'll have to find it on his own: "The Bible is blind, the Torah is deaf, the Koran is mute./If you burned them all together you'd get closer to the truth." The search continues on the rest of Cassadega, on which Oberst is assisted in creating an impressively polished Americana soundscape by musical helpmates Mike Mogis and Nate Walcott, plus a slew of special guests including Sleater-Kinney drummer Janet Weiss, guitarist M. Ward, and singer Rachael Yamagata. Outside of rappers like Ghostface Killah and Eminem, there aren't a lot of pop-music songsmiths who can compete with Oberst for putting together a lyric sheet that makes for compelling reading, and Cassadega gives fans plenty of opportunities to pore over his profundities. With Hank Williams in mind, he goes looking in the back of "Classic Cars," where "all the best country singers die." In "Middleman," he despairs that "every dream gets whittled down, just like every fool gets wise." And on the Dylanesque "Everything Must Belong Somewhere," he strings together verses after the manner of the Bard, rhyming "trundle bed" with "rusted shed," and "turquoise shell" with "private hell." Oberst tangles with all kinds of big ideas on Cassadaga, leaving no doubt that he's a serious artist growing ever more accomplished. But for an album that means to be on the lookout for answers out there in America - and inside himself - it's curiously tidy and composed, a pleasant listening experience that doesn't leave the least bit of blood on the floor. Next time, he needs to cut loose.